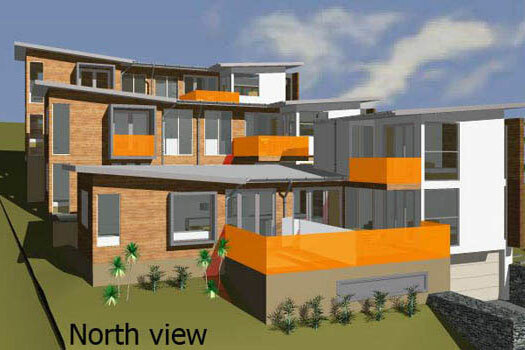 The client found a smaller site facing North that had a steep gradient, however not as close to the beach area. 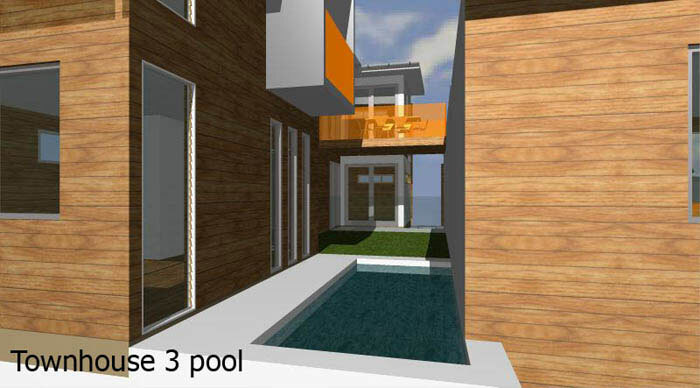 We designed the 3 townhouses each with their own plunge pool and each with privacy away from each other. 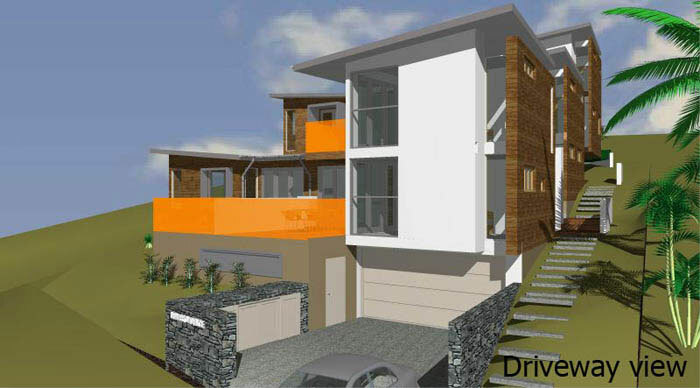 All the bedrooms are on the lower floor ground area and access a breezeway. 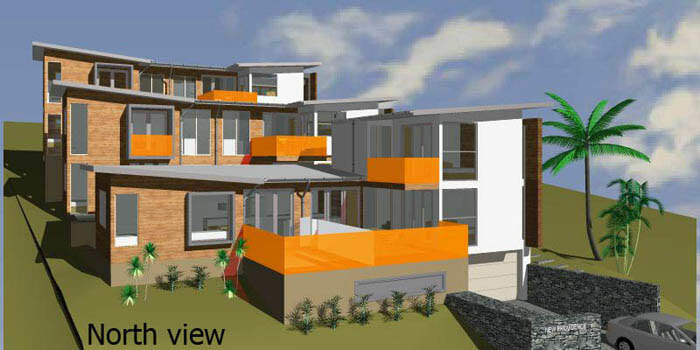 The upper first floor areas are elevated and have the breezes and being North facing is saturated in natural light. These were not built due to a protracted battle with Council that simply made it untenable to justify. However, the legacy of the design remains as a beautiful solution to a complex brief.